It's almost February 14th! That means I will be posting Valentine's Day outfits here and there, and they will gradually get more pink, more girly, and more hearts! I started off my first one with neutral and black with a little bit of red. A casual and easy attire with a trench over sweater and some print on print action. I love this sailor trench coat by Bensoni, it's a classic trench with a fun twist and it goes with anything! Oh, and my Marc Jacobs Stam bag... I've had this bag for years, it's so roomy (perfect to carry my camera around) and colorful! Lastly, I don't watch/care about football but for those who do... have a great Super Bowl Sunday! 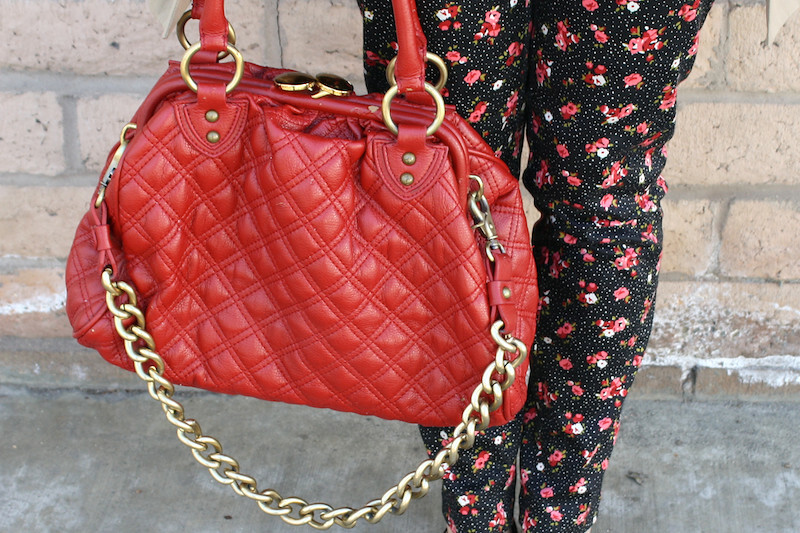 Stam bag by Marc Jacobs. 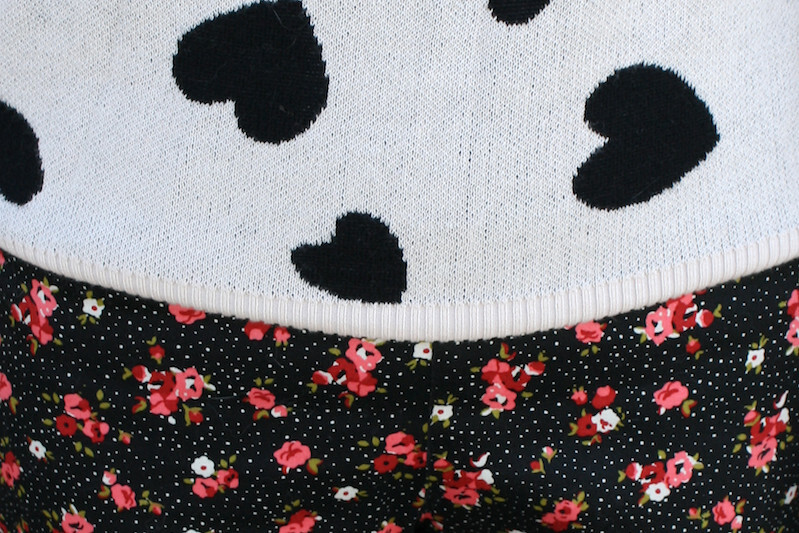 Heart print sweater from F21. Black velvet loafers by Qupid from my work Sway. SUCH a lovely outfit! Love your jumper so much! just discovered your blog and already love your style... especially your mixed patterns! those pants are amazing! 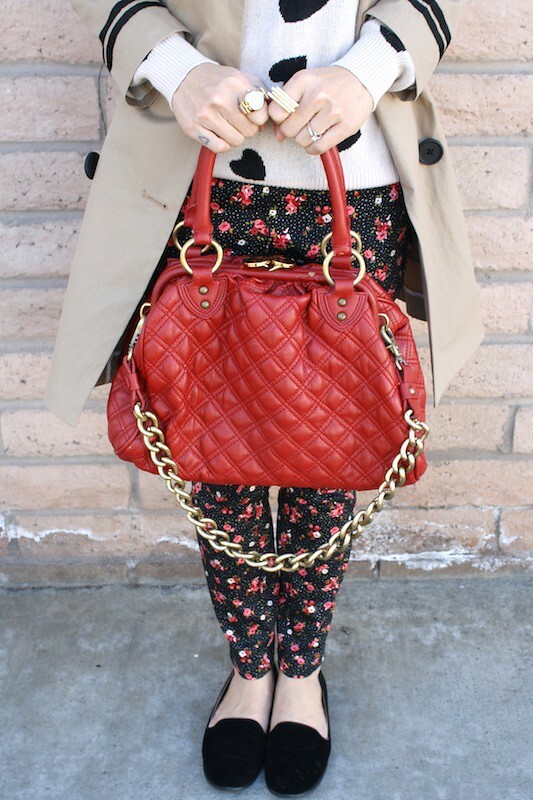 this is so adorable <3 love that you mixed all these patterns. You look so sweet! Love your outfit! Would you like to follow each other?